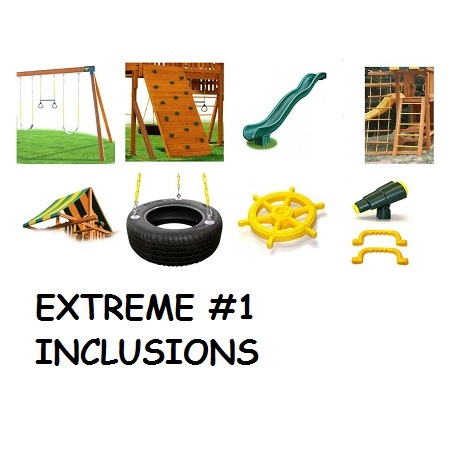 Be prepared for a big increase in backyard fun with the Extreme 1! 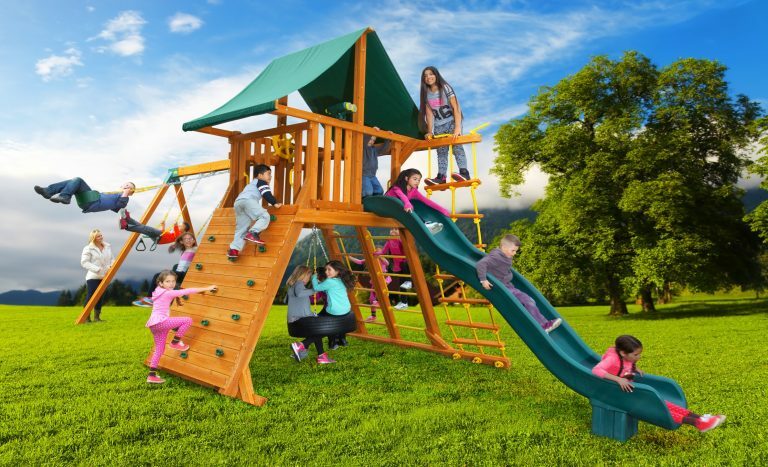 Our unique “A-Frame” design and 4″ x 6″ Angle Supports allowing the tire swing to be installed under the clubhouse is a great addition to your backyard that will entertain the children as they grow. 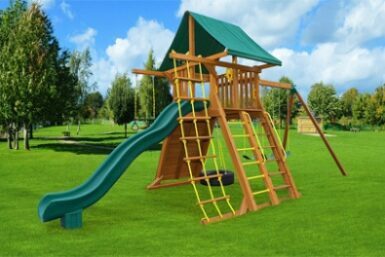 This play set offers an impressive 12 ft. wave slide, 6 ft. play deck with a rock-climbing wall and double ladder access. Your kids will love spinning 360 degrees on the tire. 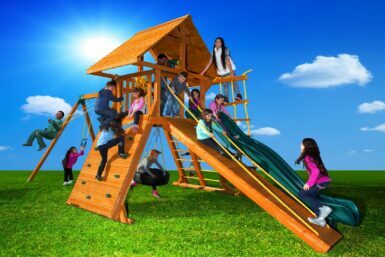 This swing set is ideal for medium size backyards. The Extreme models are part of the Angled-Base Series, so they require a level area for installation.